I might still be a little angry about Inside Llewyn Davis being snubbed for the Oscars that I think it deserves. And I’m not sure why, it’s not like I made the movie, it shouldn’t matter what the Academy thinks about a film I loved. But it does, it really does, and so I transfer my anger to the films that were nominated in its place: Gravity which I didn’t really even like, Philomena which I haven’t seen quite yet, and Nebraska which I couldn’t imagine even deserved a spot among the great films of the year. And it gets four major nominations while Llewyn gets none? Best Actor, Best Supporting Actress, Best Director, and Best Picture; Nebraska is this year’s Cinderella story. So I came in with a tiny grudge against this underdog of a film, but I actually left understanding what all the hype was about and why it’s right where it belongs alongside the best of 2013. 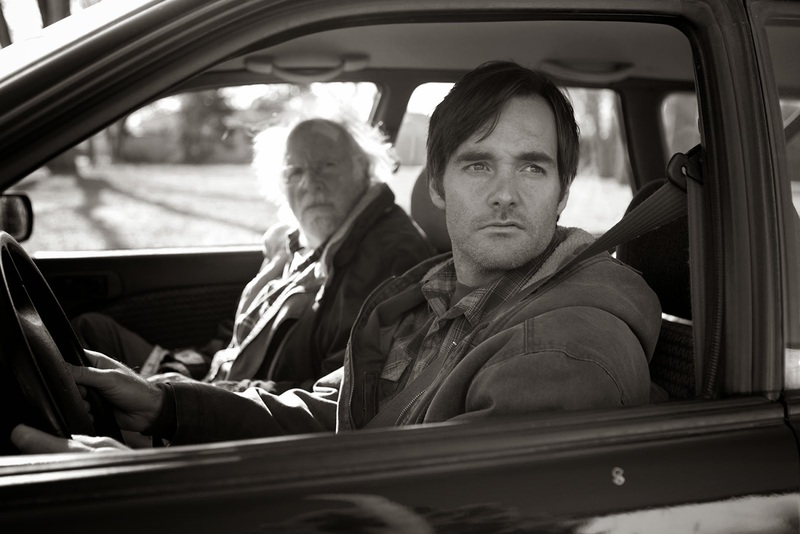 Shot in black & white and set among the rollings plains of the Midwest, Nebraska is a film about family. Woody Grant, an old & often-drunk retiree, has just won a million dollars, or so he thinks. A letter in the mail says he’s a winner, but his wife & two sons tell him that it’s just a scam. But Woody is determined to get from Billings, Montana to Lincoln, Nebraska on foot if he has to, as he can’t drive and no one will take him. His wife Kate thinks he’s crazy, his son Ross thinks it’s time to put him in a home, but Woody’s youngest David thinks that a road trip might not be an awful thing. At least it would take David away from his own problems; a breakup, a dead-end job. And perhaps it will show Woody that he didn’t win, that he needs to come back to reality, that he’s ignoring the real world and the people around him. So father & son take a trip, bonding perhaps, definitely learning about each other, and connecting to a family that is steadily breaking apart. The respect that I feel for this film after having seen it isn’t even grudging. I genuinely enjoyed it and it’s obvious why it’s been so highly respected. Nebraska is about family, about fathers & sons, about lost dreams, disappointments, second chances, and the regrets of the past. It’s generally sad, sprinkled with heartbreak & humor, but at all times promoting an honesty that was nice to see. The family was real, they had real problems, what they felt for each other was true, in both good and bad ways. And wow was their country hometown accurate. On the road the family gathers in Hawthorne, Nebraska for a small reunion, and if you’ve ever lived in a tiny rural village you’ll immediately recognize the characters, the mannerisms, the town itself, the gossip, the culture, the despair. It was eerily similar to parts of my own upbringing and someone got a ton of details correct when creating a picture of an ancient farming community and the people who call it home. 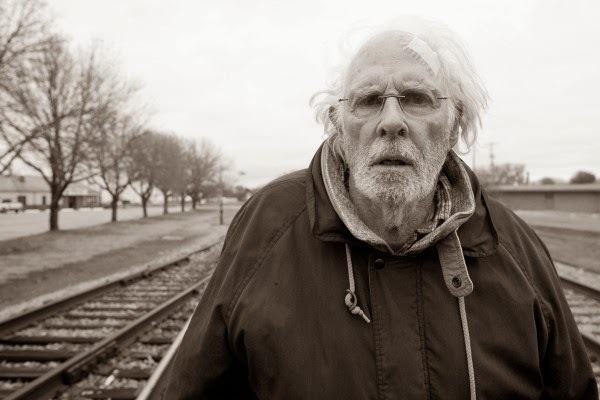 Bruce Dern was great as Woody and deserves a nod for his role. He was senile but crafty, determined yet sad, and he played the part to perfection. I doubt he wins Best Actor, but his name belongs next to the others this year. Will Forte was alright as David and it makes sense that he was not nominated for Best Supporting Actor. He’ll always be the SNL guy to me and I think too many people feel the same way. 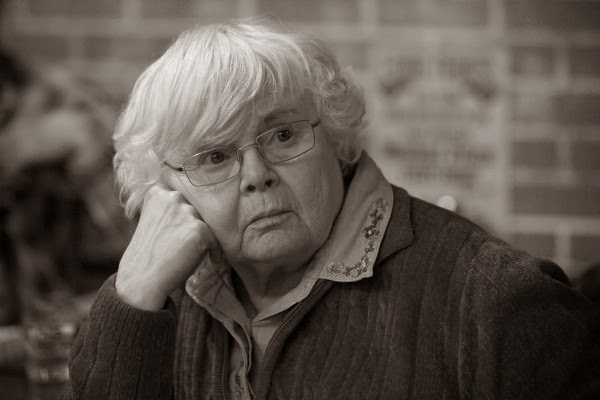 It was June Squibb who stole the show as Kate, the angry wife & mother who is as domineering as she is bitchy. She was hilarious at times, cold as ice at others, helping to keep in perspective a story that could have gone off the rails. But it didn’t, it stayed honest and smart, helped by solid directing & editing as much as by strong acting. Nebraska is a well-made film that should get a lot of credit but that I don’t think will surprise anyone with big wins at the Oscars. It’s really good, not brilliant, and that should be reflected in March.